Asthma is a respiratory condition that affects adults and children around the world. If it’s not controlled or managed effectively, it has the potential to be life threatening. So if your child has recently been diagnosed as asthmatic, you will be eager to do all you can to help them. While stocking your cupboards with asthma medication is an excellent start, there are other things you can do too. Read through these three easy ways to manage your child’s asthma to help them breathe easier each day. Now that you know your child has asthma, it can be beneficial to start a diary to gain more understanding of their condition and it’s triggers. You can use it to note down times, days and locations when your child feels wheezy. You could also take note of what your child was doing just before their asthma symptoms began. The more you use your diary, the easier it will be to pinpoint potential triggers. You might find that exercise, pets, pollen or temperature changes are to blame. 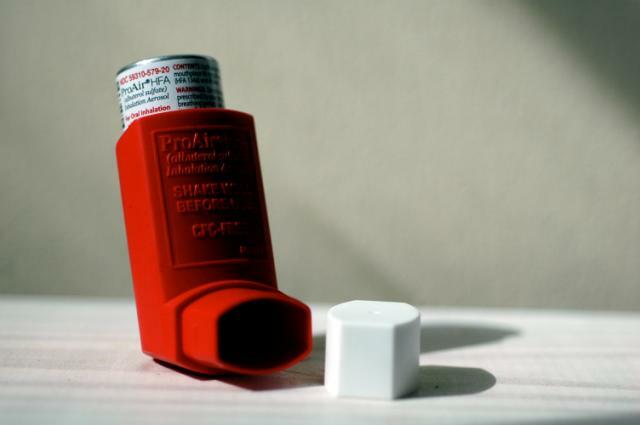 Identifying what triggers their symptoms is a key step in effective asthma management. You now know how to help your child avoid these triggers, which will make controlling their condition far easier. You can also show your diary to your doctor during checkups to help them update the asthma management plan. It’s likely that the doctor or specialist who diagnosed your child with asthma, helped you develop an asthma management plan. Each plan will vary depending on the severity of the condition. But they usually include daily medication regimes and breathing exercises. It’s important not only to stick to the instructions laid out in the plan but also to keep it updated regularly. As your child gets older, the plan might not be as effective as it once was. So schedule regular appointments with your doctor not only to check on their condition but to make necessary changes to their plan. One of the best ways to manage your child’s asthma is to get them involved. Use asthma books and leaflets that are designed for kids, which will help them to understand more about their condition. It’s important that your child knows what to do if they find it hard to breathe properly and if they come in contact with an asthma trigger. Without scaring them, convey how important it is to tell someone if are having breathing trouble and to take their medication. If they know what symptoms to look out for, this will help them alert you or another adult before an attack can occur. You should also get them into the habit of remembering to take their asthma medication with them wherever they go. For more information on how to help keep your child’s asthma under control, make an appointment with your doctor. They should be able to answer any questions you have while also giving you advice and guidance. If your child is ever in respiratory distress, act quickly and call the emergency services as soon as possible.